So I thought today that I would do my top two nail polishes ever. Now I know you are already thinking 'But they are spring colours?'. That is very true but I don't really tend to wear my nails according to season. I still wear bright clothes and accessories in winter and autumn as they are the dullest seasons. Particularly today, just look outside at how dark and dreary its been. It's horrible! So why not brighten things up with a few coloured accessories or in this case nails? If you have been following my blog for a long time now then you will know I have a massive obsession with the Gelly Hi Shine Range. I just think the polishes are a bargain at only £3.99 each and sometimes Superdrug do an offer of Buy one get one half price so I always take advantage of this. I think I own every color in the gelly hi shine range now. Did I mention that I am obsessed? 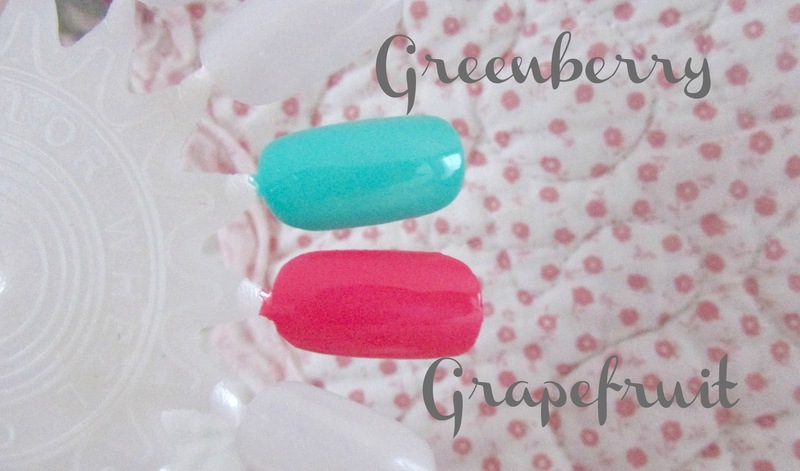 My two favorite colors in the range have got to be Greenberry and Grapefruit. 'Greenberry' is an absolutely gorgeous turquoise shade which I have to say (and I'm sorry if this comes across as vain) looks absolutely stunning against my skin tone. I absolutely love this color and have so many tops and dresses which are this shade so to get a nail polish which looks as equally nice is a bonus. 'Grapefruit' is a gorgeous bright coral pink shade. (The pictures make it look darker so apologies for that) I absolutely love it. When it comes to coral make up I can never find anything that really suits me, however this nail polish looks absolutely incredibly on almost every skin tone so I couldn't help but purchase it. These polishes are so incredibly easy to apply to the nails. Two coats applied give you that lovely opaque finish. I love the consistency of this polish too as its not too thick. I was worried that these would take absolutely forever to dry but your nails are done in under 5 minutes. Once they dry they leave an absolutely gorgeous shine on your nails. Other bonuses of this polish is that they don't chip easily and last a good 5-7 days, possibly even longer, before you need to reapply. When it comes to removing the polish I have had no problems at all. Normally I find some polishes (OPI in particular) can really stain your nails when you try and remove them but these come off no problem at all. Like I have mentioned above the polishes are retailed at Boots/Superdrug for only £3.99 and they have a huge range of colors for you to choose from, from barbie pinks, to more green shades to darker shades for the current season. If you love these colors definitely go and stock up now as they will be extremely popular the nearer it gets to Spring/Summer. 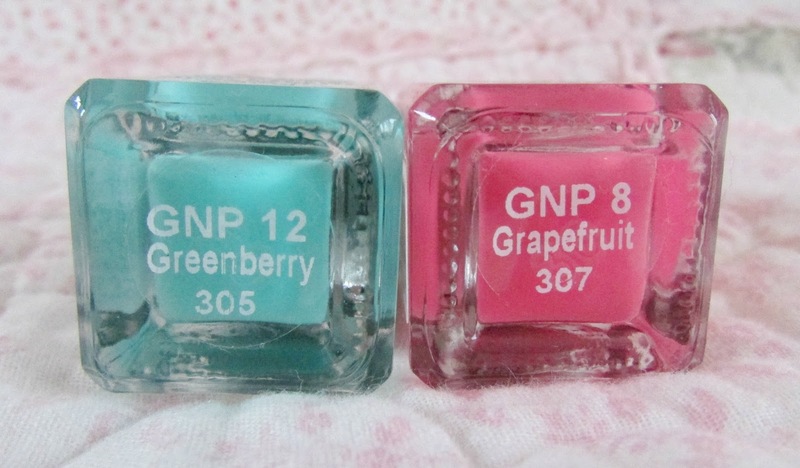 What are your favorite nail polishes? I love Barry M as a brand, but i've never tried the gelly range! greenberry is absolutely gorgeous , i love Barry m nail polish' s!! Hiya, I just thought I would let you know that I have nominated you for the 'Versitile Blogger Awards'. It's a really fun way to get to know people, I hope you can partake in it.